We’re back for another installment of the self-blogging series! Last week we talked about Your Corner of the Internet and setting it up, but this week we want to cover how blogging helps you to discover who you are. Talk to any blogger and chances are, they have written more than one blog on different topics before settling into what they’re passionate about. 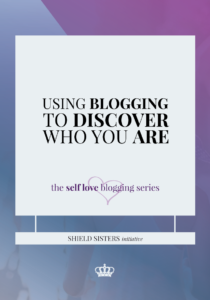 Other bloggers have kept the same name, but their blogs grew with them as they went through different life stages. Blog designs change like the seasons, but the one constant is the way that blogging can help you discover who you are and what you like. 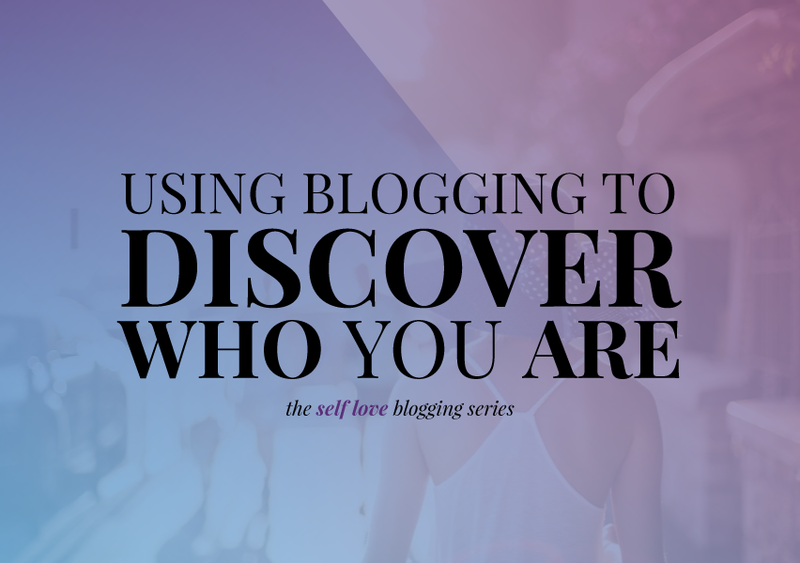 So how exactly do you discover yourself through blogging? There are so many tutorials, websites, plugins, upgrades, social media outlets, automation tools, productivity apps…we could keep going. There. Is. So. Much. Which is totally awesome, btw. As a blogger, especially a newbie blogger, you’re probably going to try it all on for size. Then you might try it all over again when your time management changes or something new comes along. For example, we currently use a combination of Asana and Google Docs to keep track of everything. Recently I started using Trello again, too. With everything out there, it can seem overwhelming and I know a lot of bloggers actually DO get overwhelmed trying to do it all and be on everything. That’s not going to work, I promise. Here’s what will work for you: Test it out for a week or two. If you like it, stick to it. If you don’t, then drop it like it’s freaking hot because ain’t nobody got time to waste! I’m serious. I love all things social media. You can find me on FB, Insta (with too many accounts), Twitter, Snapchat and more. You can find my profile on Pinterest, but if you pay close attention, you’ll see that I basically never go on Pinterest. It just isn’t my jam. It is the jam for a lot of bloggers and a lot of bloggers get traffic that way. But it isn’t for me and that is totally okay. I do the bare minimum with Pinterest – posting my blog posts – and that’s it unless I’m planning a party. Most of my traffic comes from Facebook group interaction and Twitter. Would rocking Pinterest up my traffic? Would rocking Pinterest up my traffic? You bet! But would it also cause me to feel less authentic and less in love with my blog life? YEP! So I don’t do it! We all need a creative outlet of some sort. You need it like you need oxygen, but I am always hearing people say that they can’t be a blogger because they aren’t a writer. So what! You can vlog or post pictures or write in broken grammatical English. That’s okay because you are getting it out! Even if you aren’t writing about the mental traffic in your head but instead writing infographic posts, you are still tapping into that part of your mind as you write. Did you know that the more often you write, the easier writing becomes? (This is even true when you have writer’s block). So your excuse is null and void. It’s time to start that blog and start working through your mental traffic to find clarity! But wait, how do you find clarity and clear your mental traffic if you are writing about automobiles and not your mental health? Well, when you focus your thoughts and do the research and analyze, you’re giving your brain the tools it needs to work through that other stuff. You’re also practicing self-care (WHAT!) which releases so much goodness into your body that there is less space for mental traffic! So this is my favorite part about blogging, obviously. I collect people and relationships because that’s what is important to me and that is what I believe is the meaning of life (or 42). There are so many blogging communities out there – we’ll share some of our faves at the end of this series – and groups of people who want to support you and will connect with what you have to say. You will discover new friendships and new things about yourself. When I first started seriously blogging in 2013, I followed a blog called Wifessionals and Kaitlyn did a monthly blogger match up for care packages. Through that, I met quite a few blog friends, one who even had a mutual real life friend! Over time, blogging connections moved away from commenting and emailing and into the Facebook group and Slack sphere, which is amazing. You can connect on so many deeper levels. I mean, that is how Allie, Megan and I met. Oh and all of the amazing women in our coaching club! In addition to connecting with other people, I’ve connected with amazing brands and non-profits that I most likely never would have heard of if it wasn’t for blogging! Sometimes it’s hard to make friends, especially if you suffer from social anxiety, work from home or are living away from your hometown. But blogging connects you with others throughout the world. It is difficult to pick just one word to describe blogging friendships. Many times as bloggers, we can feel like no one understands us but other bloggers. I mean, how many people have more friends that they haven’t met than they do in real life? But it’s the amazing thing about the internet. You no longer have to physically live near someone to connect. This is the big, big, big one! Blogging can help you discover your passion, especially if you are trying to monetize. If you’re writing about a topic you are not passionate about, you’re going to burn out and your blog will fizzle. It may also morph. I started Be a Warrior Queen to be a magazine style site but it was slightly more political and personal and I wasn’t connecting with anyone. I also wasn’t promoting it anywhere because it was 2010 and we were just discovering social media. In 2013, I morphed it into a lifestyle blog – connecting with women through my wedding series and more. When I became pregnant, some of the only posts I posted were bumpdates. Now? It’s a full blown self-love sanctuary. I discovered what I wanted through this process. You might find that you actually have a passion for sharing Instagram knowledge but you started a blog about puppies. Hey, that’s okay! You can abandon that one or morph it or run two blogs! No one is here to judge you about your blogging. Your blog is your corner of the Internet. Make it authentic to you and let it grow with you. The most successful bloggers are the ones who stuck to that authenticity and growth. They didn’t burn out, but instead they work from home or make a living through their blog. Their blogs have helped them to discover what truly fills their heart.